The Shimmer Me Box launched today, September 1 and will be for sale for one week. 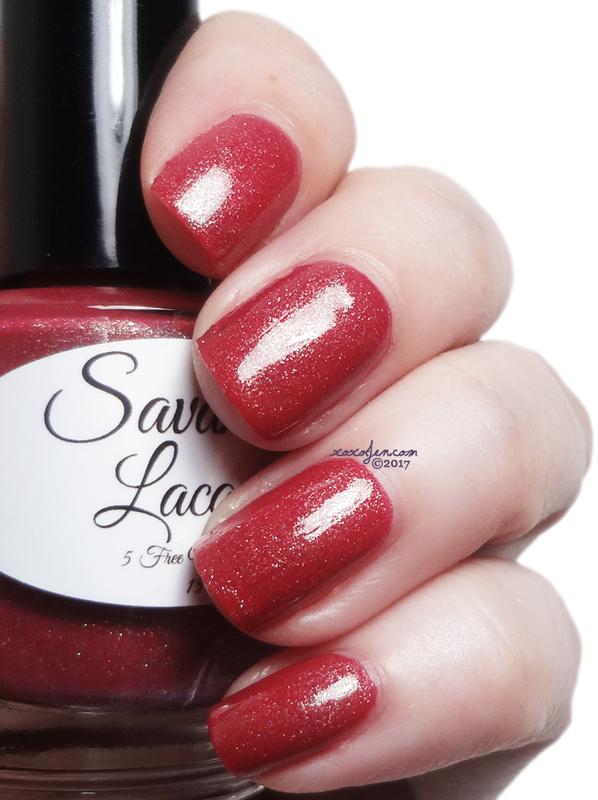 The theme this time is Fall In Love and the guest brand is Savannah Lacquer. The September Shimmer Me Box comes with a free mystery polish from Native War Paints, so you'll get a total of five polishes. I didn't receive the mystery polish, so it shall remain a mystery! This was my first time trying this brand and I noticed this polish has a different odor than most. It reminds me of the base ILNP used when she first started out. 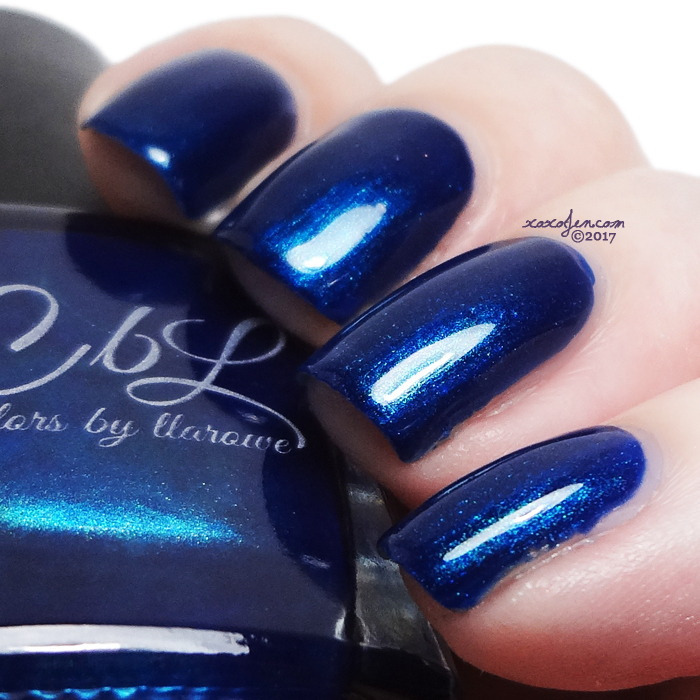 Such a rich deep toned blue and wow, that shimmer! The shimmer is more apparent in different lighting, bringing out and almost teal look to the polish. Loving this! 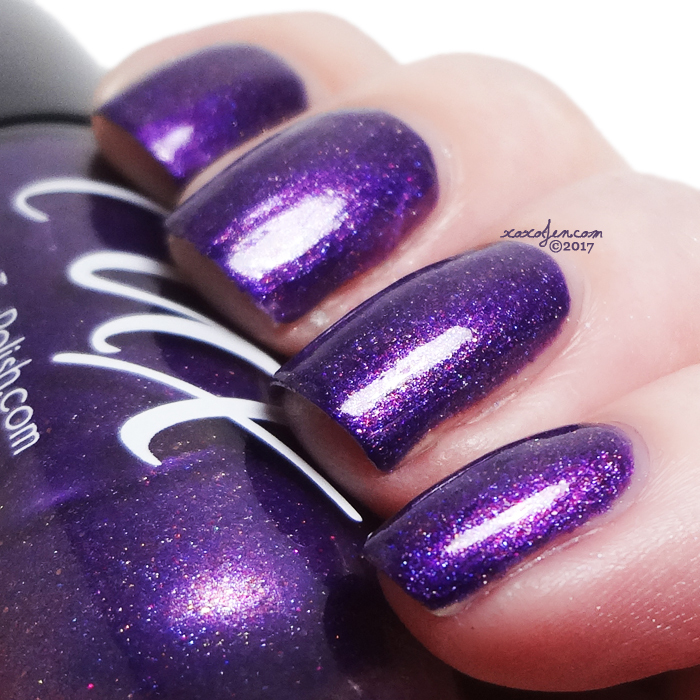 Tux Polish - Love Potion No. Wine - Concord grape purple with holo sparkle, pink micro glitter, and blue and copper shimmer. This brand hasn't made a polish yet that I didn't love. I was skeptical about this one after seeing the bottle, but when I put it on -- magic! 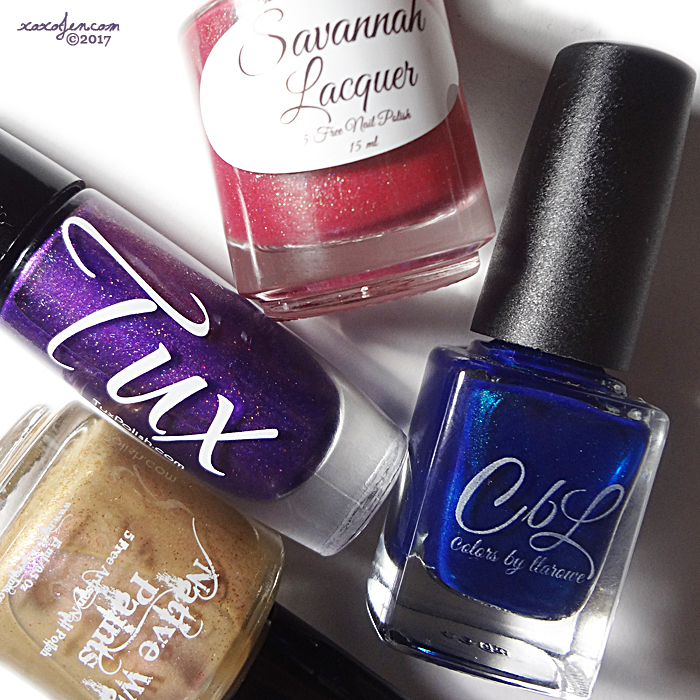 All four polishes are shown in two coats and have fantastic formulas. I'm really loving the rich depth and glowy-ness of the CBL in this box. Pick up your own Fall In Love box now at nativewarpaints.com. They look really nice. I like the look of the last one a lot.